It's the anti-image, the last thing you'd expect to see in a bar and for this reason it's striking, beautiful and bizarre. Pouring through the pages of gaz regan's 101 Best New Cocktails, 2013 the image of Ektoras Binikos' Absolut Kelly can't fail to jump out at you. 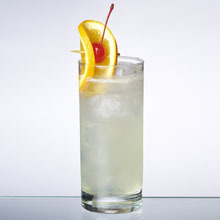 "This cocktail was inspired by artist Joseph Beuys' contemplation of the "anti-image." Beuys had a theory, based on the idea that by using grey, that he could make you see colours. 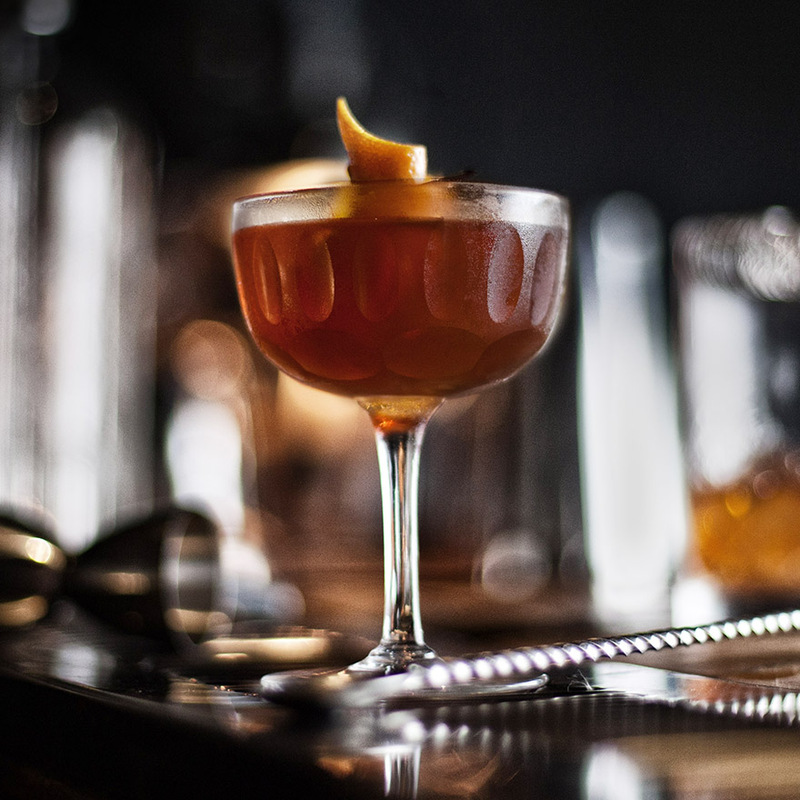 One taste of this somber dark grey cocktail will elicit a paradoxically colourful and transcendent experience," explains Ektoras. 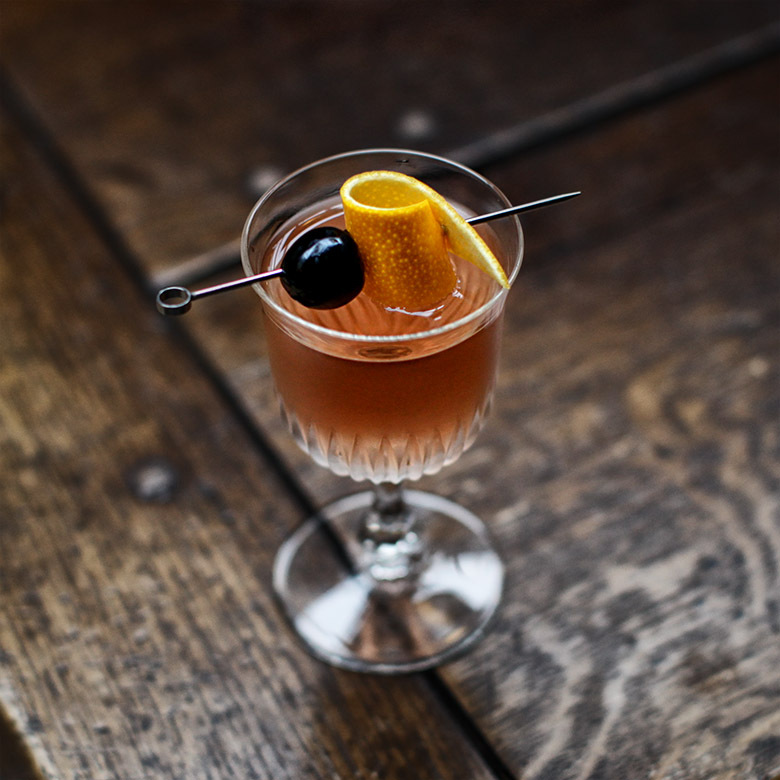 Working at 2nd Floor on Clinton in New York, Ektoras is both a bartender and artist so the visual effect of his drinks is crucial to their creation. For this concept he used activated charcoal. "Active charcoal is a natural detoxifier and an antidote to alcohol poisoning, funnily enough. I was commissioned by Absolut to create the libation for the inaugural gala of the new Sean Kelly gallery space. 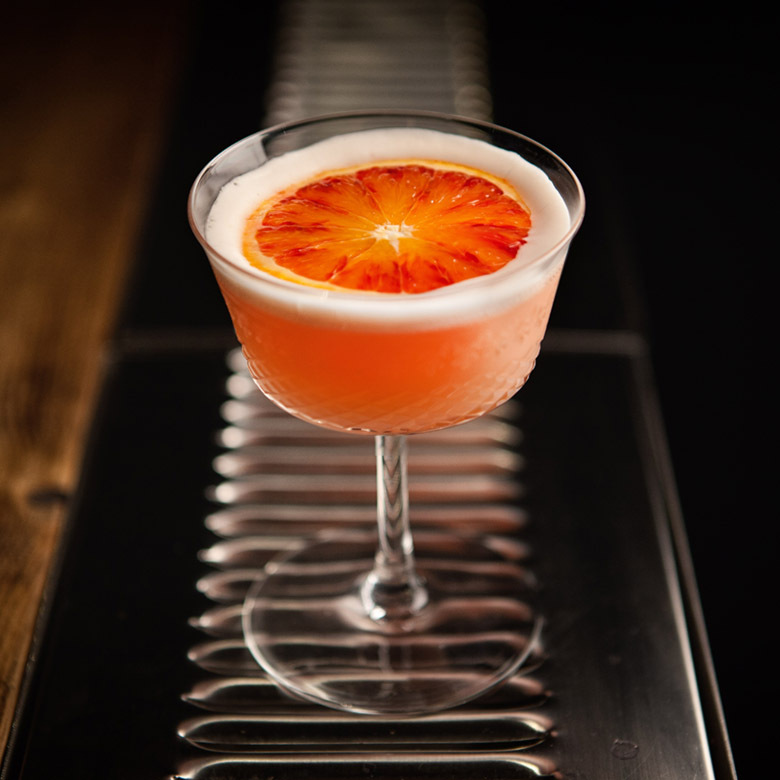 Sean Kelly, the owner of the gallery, is a very dear friend of mine and I wanted to pay tribute to him and his amazing art institution with a conceptually based cocktail. All components were selected to represent the ethos and sensibilities of the SK Gallery which is a conceptual based gallery. 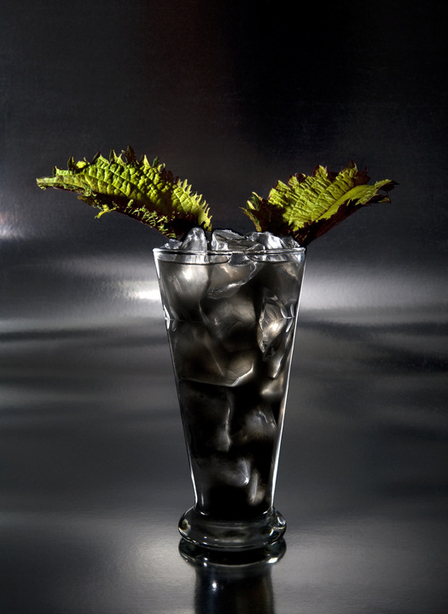 The active charcoal adds no flavor to the cocktail, it is purely visual. 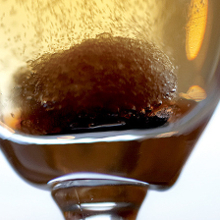 It dissolves completely within the mix, so the drinker is left without black teeth. 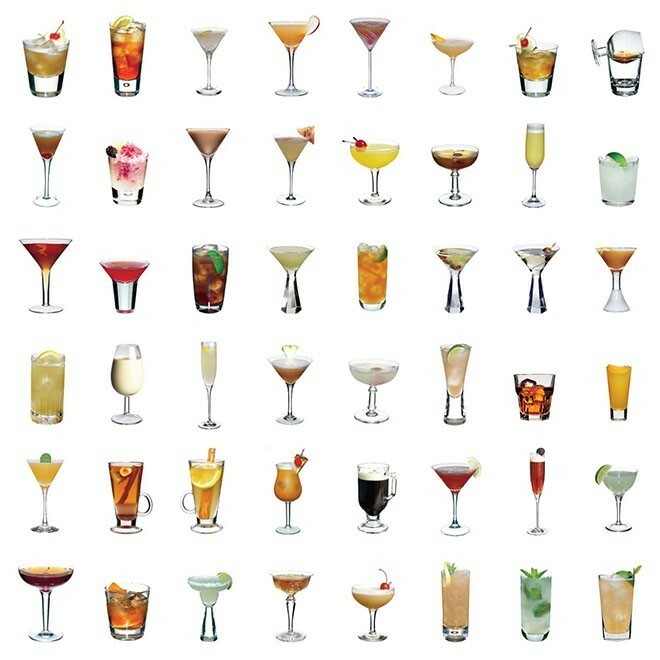 "As a mixologist and visual artist I have this idea that my cocktails are components of a large social sculpture. I love the way people interact around them and like Beuys I'm interested in a process which reaches much further." Another bartender-stroke-artist is Clotidle Lataille, previously of Callooh Callay who launched her menu Black is Beautiful in the bar's upstairs area in November 2012. "My idea was to create a full experience with a concept behind. I wanted to connect my art work with my bartending work. Black is an essential part of my work as a painter. This was an act of painting reduced to its pragmatic definition: applying a fluid material on a surface prepared or not to receive it. I did this menu like I approach a painting." Clotilde used spirits which were already black such as black sambuca, Blavod Black vodka and dark liqueurs or vermouths such as chambord. She also experimented with using blue, green and dark red together but had to be careful of the flavour when mixing. "The most important thing is it needs to be tasty," she warns. "It's a proper challenge. That's why I chose to do a menu around the colour black and not just with black cocktails. You can use food colouring but I chose not to, otherwise people will walk away with black teeth... the perfect date." Method: Muddle lime wedges, one shiso leaf, the gum Arabic syrup and the Mastiha water in the base of a shaker. Add remaining ingredients except for the Bergamot bitters over ice and shake. 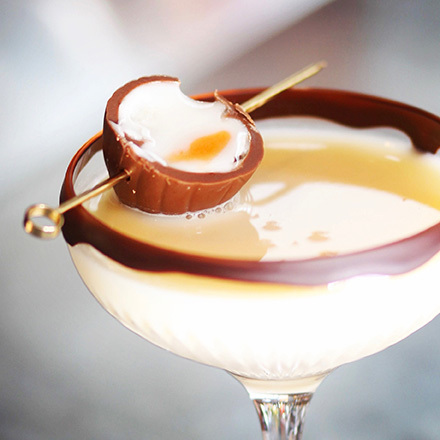 Strain into ice filled glass rimmed with smoked sea salt. Finish with three drops of Bergamot bitters. 70:30 ratio of organic pomegranate juice and agave syrup. Gently heat and stir.